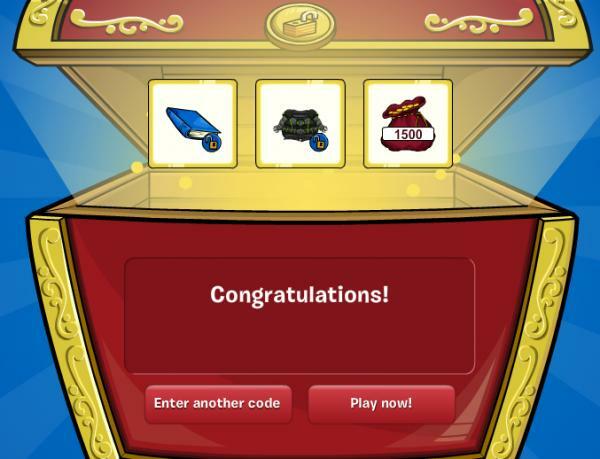 We have finally managed to get our hands on book codes for Club Penguin Official Annual 2013. This time, unlike before, you will have the opportunity to unlock an extremely cool EPF suit! If you’re unsure how to take advantage of these codes, check out our Club Penguin Book Codes page for general directions on using book codes. Question: What word is on page 4, 3 words from the left on line 7? Question: What word is on page 5, 3 words from the left on line 8? Question: What word is on page 4, 8 words from the left on line 2? Question: What word is on page 4, 2 words from the left on line 12? Question: What word is on page 4, 1 words from the left on line 4? Last but not least, we encourage everyone to purchase the book as a way to support the author. IF you live in the United Kingdom, you can purchase it from Amazon UK. We post these book codes for a number of reasons, one of which being it is unviable for users to purchase the book who live in the United States, among other countries.